Choose the layout and number of cabinets that best suits your kitchen. 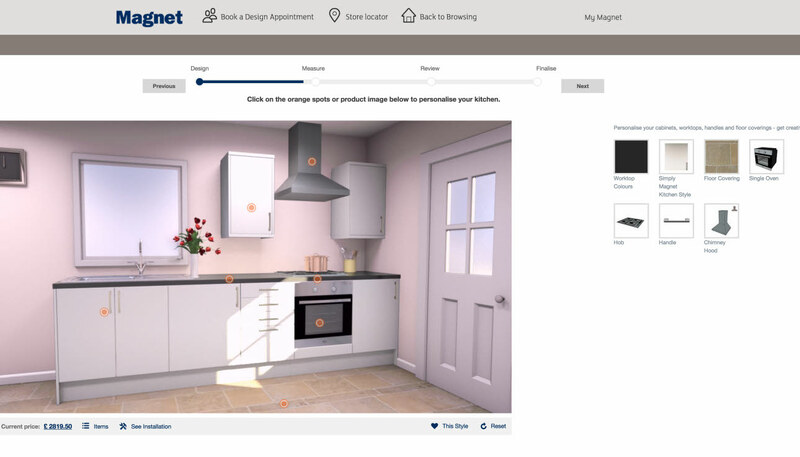 Design your kitchen using the orange spots and product images. 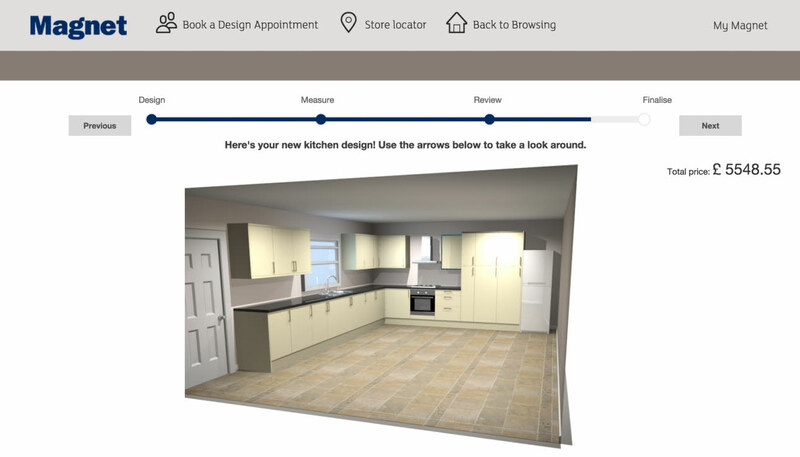 You can edit the worktops, cabinets, flooring, handles and appliances until everything is to your taste. Review your cabinets, room shape and size to make sure you're happy. 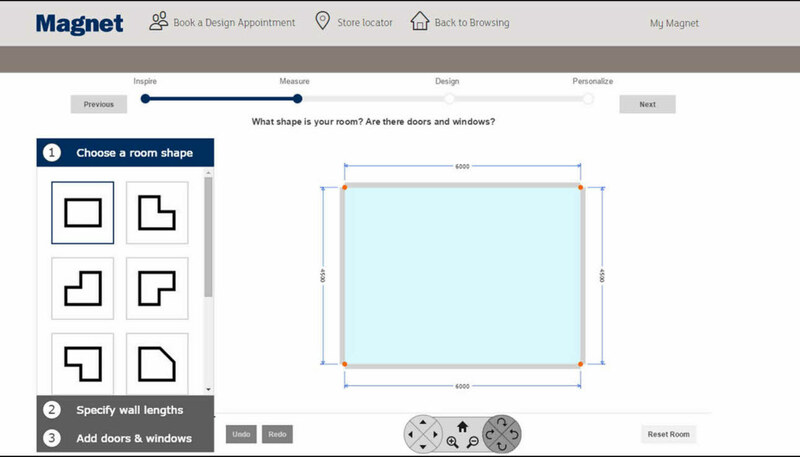 You can even add and customise further appliances at this point. 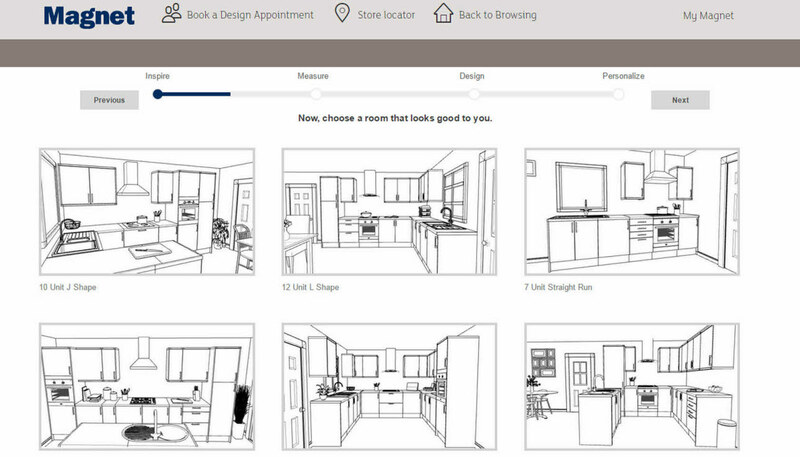 Choose a cabinet layout from the selection to best suit your kitchen. Save your project and give it a name! 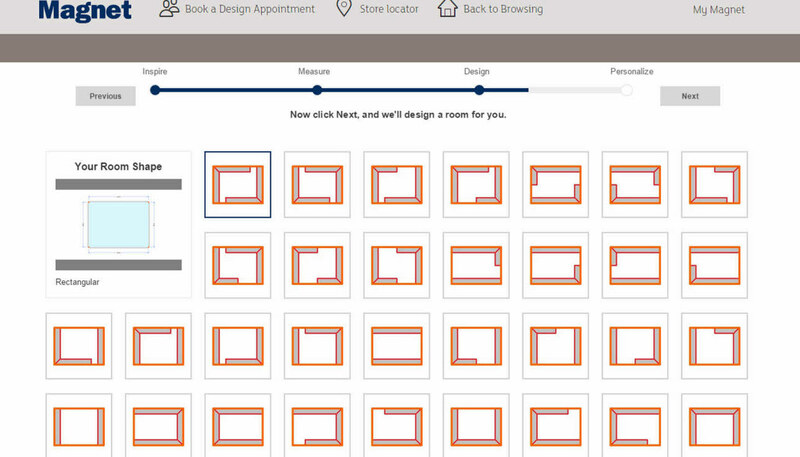 Make any adjustments before you finalise your design, and then when you’re happy, all you need to do is book a convenient time to meet a designer in your local Magnet showroom.